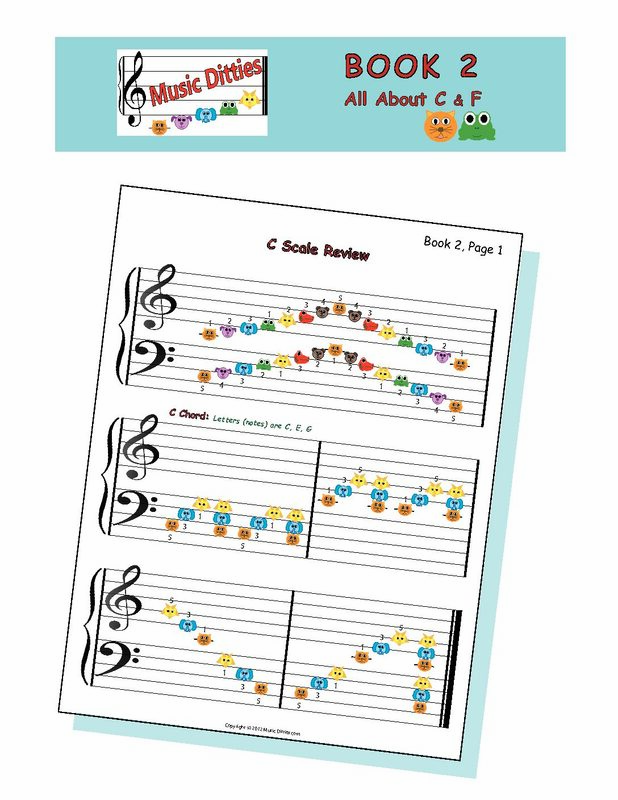 Piano for Young Beginners Book 3 continues the progress of Book 2 with even more classic tunes and finger builders. 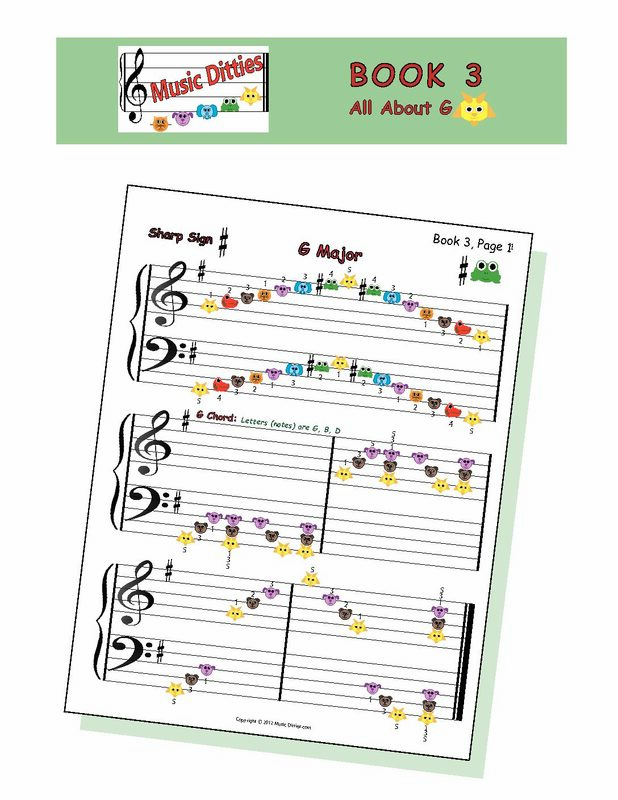 The Pantely Piano Book 3 introduces the G Major Scale along with the chords G Major, D Major, and D7 using colorful animal notes. Before the transition into regular notation and rhythm, you will learn songs in G Major, such as Bach’s Minuet in G, Mozart’s Eine Kleine Nachtmusik, Bonnie Pantely’s Blues in G, and Prokofiev’s Peter and the Wolf. You wil also be introduced to the relative E Minor, as well as the chords E Minor and B Minor, helping you learn the song Greensleeves. 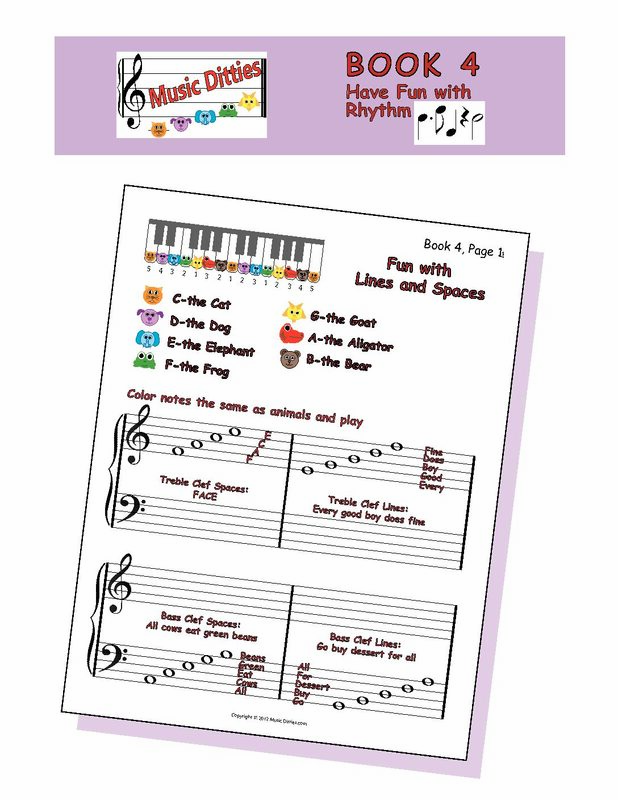 Rhythm is introduced with the use of animal notes in quarter notes, half notes, and whole notes in a fun way, by saying their names as you clap and play. You will learn regular notes in Treble and Bass Clef through the rhymes FACE, Every Good Boy Does Fine, All Cows Eat Green Beans, and Go Buy Dessert For All. You can also learn the regular notation by coloring the notes the same as the animals. The piano curriculum continues using these notes in the songs London Bridge, Mary Had a Little Lamb, and many, many more. You will also learn the musical terms crescendo, diminuendo, forte, and piano which help piano students better express themselves with the music. 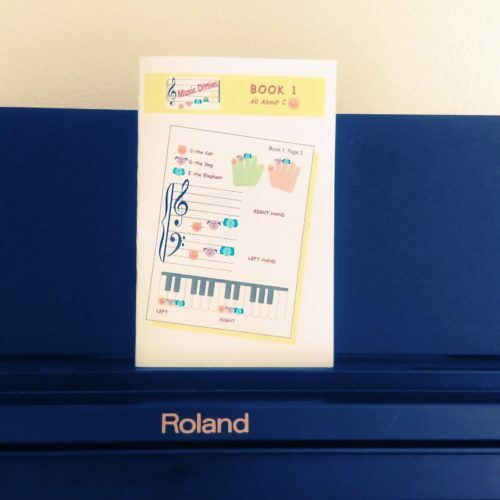 The Pantely Piano Book 3 helps you learn new scales and chords, and begins the transition into rhythm and regular notation in a fun and easy way.